Worship at all our services is based on the liturgy of the Scottish Episcopal Church, which is part of the Anglican communion. Within that framework we enjoy a wide variety of services from traditional to less formal, from quiet and reflective to active and (sometimes) noisy. Our hope is that everyone who chooses to worship with us will find a form of service at which they feel “at home" and which helps them to meet God in the company of others. The notes below provide a guide to our regular services which may be helpful if you are thinking of worshipping with us, even occasionally. After the 10:30 Sunday service tea and coffee are served in the Threshold, to which everyone is very welcome (access via the south door). Children and young people are welcome to all our services. During the main Sunday Eucharist service we provide a creche for our smallest members and visitors and there are usually activities for older children during the service. On the first Sunday of the month our family service offers a more informal service inviting more participation, although the creche room is still available. This is our main service, which takes place at 10.30 every Sunday except the first Sunday of each month. It uses the Scottish Liturgy published in 1982 and is enhanced by music, hymns and an anthem from our choir. During this service there is a creche for younger children and activities for older children, which take place in separate rooms just to the side of the main worship area. All children join the congregation for communion. The service is followed by tea or coffee in the Threshold centre next door to the church. At 10.30 on the first Sunday of each month we encourage the whole church family to worship together. Hymns and prayers are selected with the aim of enabling participation by children and adults of all ages. On the third Sunday at the 10.30 service, we include a service of healing and anointing. This service is designed to heighten our awareness of the healing power of the Eucharist. In the Eucharist we can find healing of mind, body and soul. When we allow the Holy Spirit into our inner being we begin to see the world through new eyes. We can know the comfort of the Holy Spirit and we can know his strength to share in carrying our burdens and pains, and to give us the strength to go outwards into the world giving thanks for our many blessings. Wherever we are on our journey with Christ the Eucharist will bring us closer to him and he will support us in our needs and give us encouragement. This short service helps us to lay our burdens at the foot of the cross and ask Jesus to share in carrying them. Here we begin letting go of anger or doubt, giving us strength through dark times, hopefully you will find it of use as we go about our busy and sometimes lonely lives. These services take place monthly, with Matins at 9.30am on the first Sunday and Evensong at 6.00pm on the third Sunday. They use the traditional forms of Morning Prayer and Evening Prayer from the Scottish Prayer Book, including a short sermon or reflection. The music is led by our choir, using traditional Anglican chants for the psalm and canticles. The services of Holy Communion at 8.30am each Sunday and 11.00am each Thursday follow the traditional liturgy from the Scottish Prayer Book. These are quieter, more traditional and reflective services with no sermon. The service on Thursdays is followed by tea or coffee in the Church room and a time of informal fellowship. 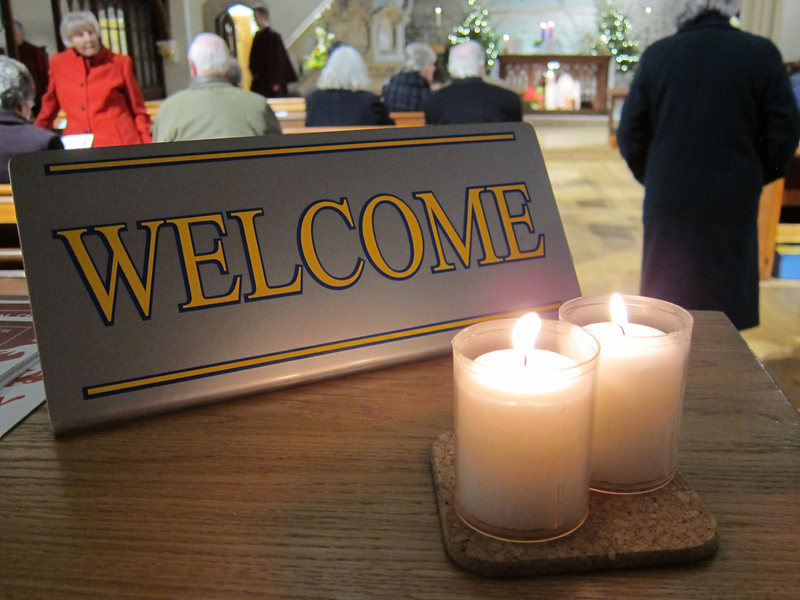 Home communion is available for members of the congregation who are unable to join us in church due to sickness or infirmity; please contact the rector, lay reader or pastoral convener if you wish this to be arranged.